Honda Civic top selling car in Canada for 13th consecutive year! With sales of 57,501 units in 2010, Honda Civic retained its position as Canada’s top-selling passenger car for the 13th consecutive year. Since 1973, nearly 1.6 million Honda Civics have been sold in Canada, making Civic a leader in the Canadian automotive landscape. An all-new, 9th-generation, 2012-model Civic will go on sale this spring. 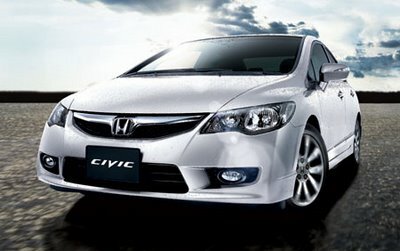 All Civic models sold in Canada, with the exception of the Civic Hybrid are made here in Canada. Honda Canada further states that nearly half of all the vehicles Honda sold in Canada in 2010 were built in Canada, including the Honda Civic and Acura MDX, ZDX and the Canadian-exclusive CSX. Of the more than 5.3 million Honda and Acura vehicles that the Honda of Canada Mfg. assembly plants in Alliston, Ontario, have produced over the past 24 years, more than 3 million of those have been Honda Civic models. 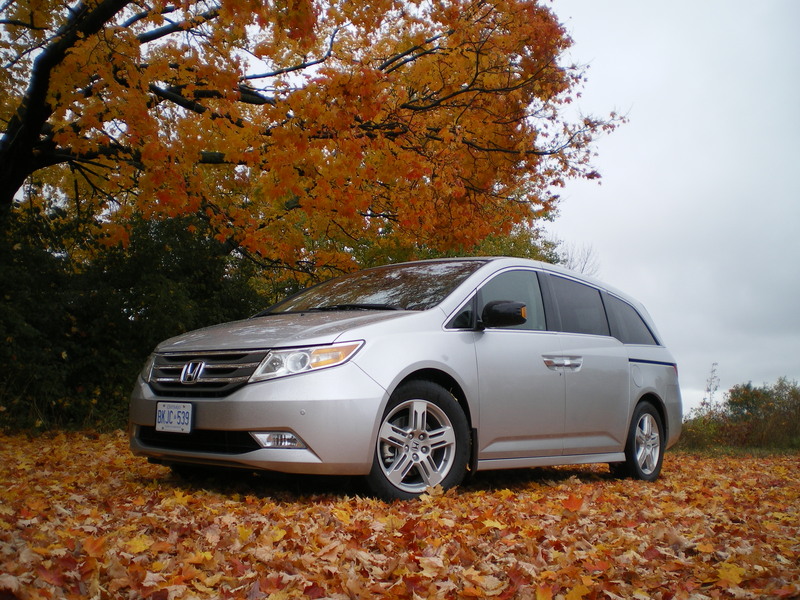 By way of introducing myself, here’s a quick image of the all new 2011 Honda Odyssey taken at the mid-way point of a rally of a number of similar Odysseys as we made our way from Honda Canada’s new headquarters in Markham. There were many features that were quite impressive with this full-size family transport including its ride, tight turning radius and a combined gas consumption ‘rating’ of 8.7l per 100km. This photograph was shot en route to the Muskoka region of Central Ontario. Note the absolutely perfect carpet of fall leaves!